This event is First come, First serve. It will be open to other clubs in Reno and the Bay Area. The PFF Registration will close April 30th or if the event fills up The rod maximum is 12. Don't miss this event if you love still water. 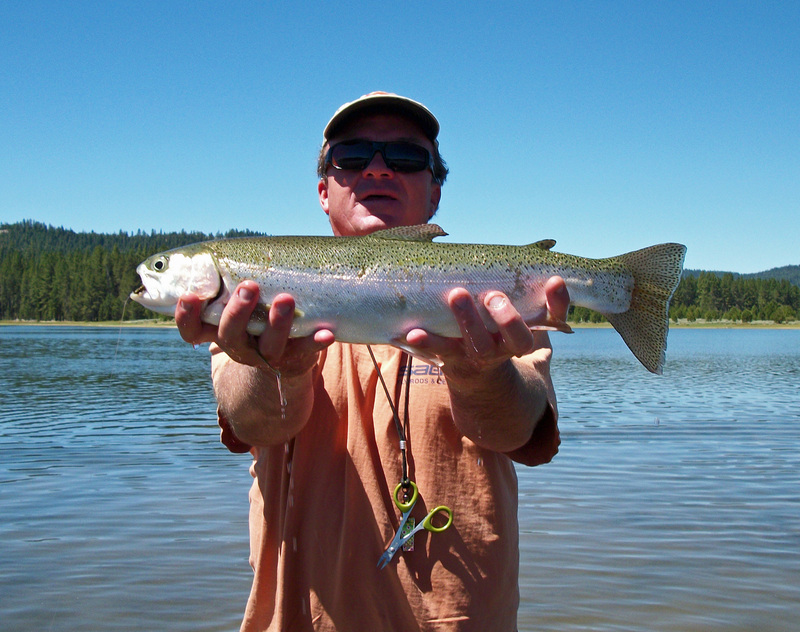 Lake Davis is well known for its prolific Damsel hatch, and anglers come from all over the West to fish this amazing lake during the late spring and early summer for this special hatch each year. We will be spending the weekend sharing some of our secrets on how to fish Lake Davis and also teaching anglers the best techniques and tactics to use on still waters anywhere. We will cover everything from early morning sight fishing the shoreline, to deep water nymphing in the middle of the day, and the best way to approach the Hexagenia hatch in the late evening. Lake Davis is the perfect venue to sharpen your still water skills and practice some of our advanced techniques. Jon Baiocchi and Rob Anderson have been guiding and teaching anglers advanced still water techniques for decades. Jon is well known in the Sierras for his expertise on advanced still water techniques and is the current guru of Lake Davis. Both Rob and Jon preform seminars at shows, fly club meetings, and are successful hard working guides with a very friendly demeanor, who love to share the knowledge. Rob is also a commercial fly and product designer and managed the Reno Fly Shop for 12 years. He specializes in hosting outings and teaching large groups. One of the highlights of these outings is Rob’s gourmet backcountry cooking skills which participants eagerly look forward to after a long day on the water. The outings will be a 2 day event and will cover advanced still water techniques, proper rigging, and shoreline wading as well as float tube, pontoon boat, and small pram techniques. There will be lots and lots of free time to practice and catch some of these big beautiful Rainbows at Lake Davis. Space is limited to 12 anglers per clinic. Friday afternoon – check-in and set up, dinner at the camp, our detailed PowerPoint presentation, and an intro to the weekend’s events. Saturday & Sunday – Two full days of fishing and learning new techniques on the lake with Jon and Rob including lunch both days, and dinner Saturday night. We will be using the Lightning Tree campground at Lake Davis for our base camp. 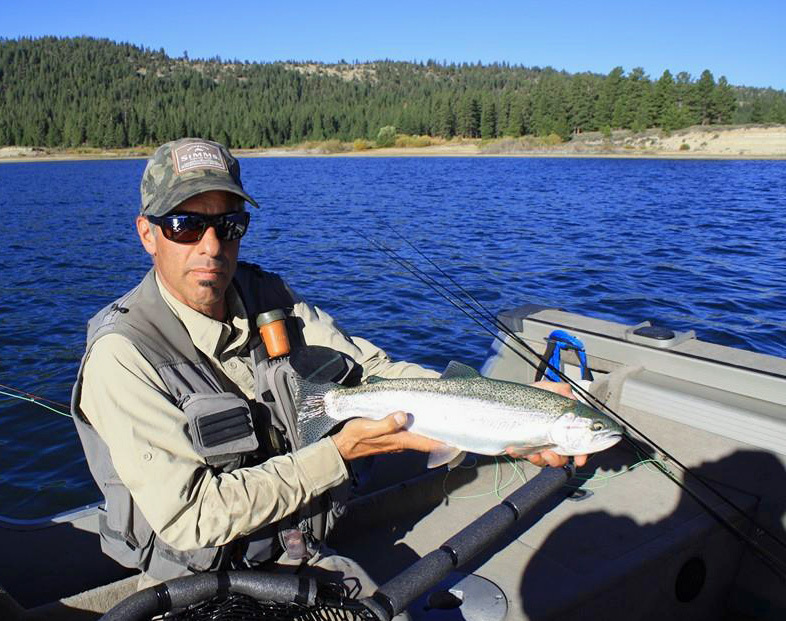 Anglers are encouraged to camp with us or to use one of the local motels in the area. Call or email us for more information and details. Price: $300 Includes – two days guide fee, dinner Friday and Saturday night and lunch at the lake each day, free swag from our sponsors, and use of demo equipment.